Ramon Carrasco This promo code is working perfectly fine. 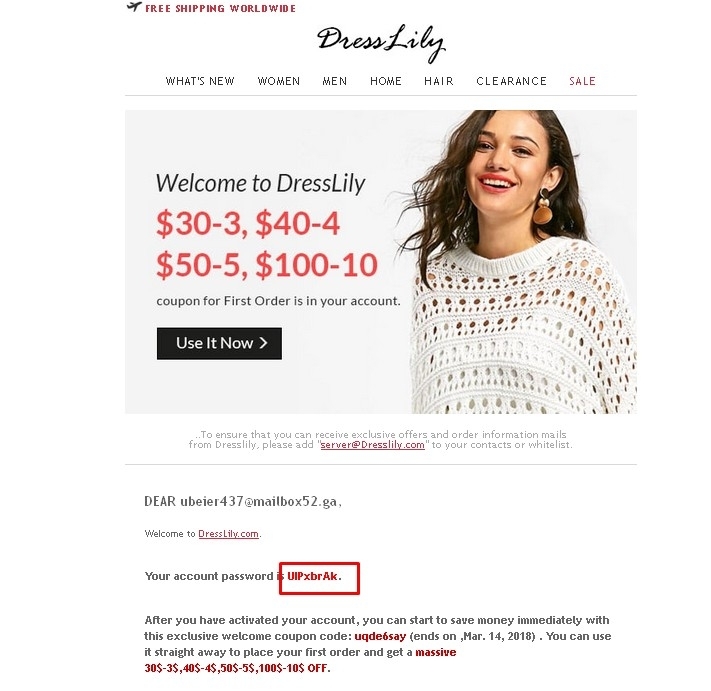 Put the items in your cart and apply your code Enjoy 30$-3$, 40$-4$, 50$-5$, 100$-10$ Off at DressLily. Hope that helps!